SILVER SPRINGS, Nev.–As the Memorial Day weekend approaches, Nevada Division of State Parks personnel are gearing up for a busy holiday weekend at Lahontan State Recreation Area. 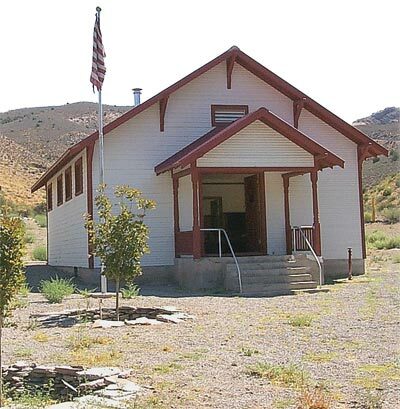 CALIENTE, Nev.–The historic Elgin Schoolhouse State Park is now open for visitors between 12:30 p.m. and 5:00 p.m. Friday, Saturday and Sunday. These hours will remain in effect through October 28, 2007. CARSON CITY, Nev.–Fire season is upon us and the thought on the minds of many homeowners is, “Would my home survive?” You may be eligible to apply for funds to help homes, particularly those near wildlands, safer from fire threats. CARSON CITY, Nev.—Governor Jim Gibbons proclaimed today May 19-25, 2007 as Nevada’s Wildland Fire Awareness Week. Multiple state, local and federal agencies participated in the kick-off event at Nevada’s State Capital in Carson City. The Nevada Division of State Parks will admit, free of charge, bicyclists who ride into any Nevada State Park the weekend of May 19-20, 2007, in celebration of National Bike Month. You are currently browsing the Nevada Dept. of Conservation & Natural Resources News blog archives for May, 2007.